Quantitative Methods in HIV/AIDS Research provides a comprehensive discussion of modern statistical approaches for the analysis of HIV/AIDS data. 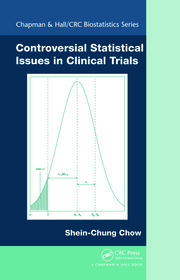 The first section focuses on statistical issues in clinical trials and epidemiology that are unique to or particularly challenging in HIV/AIDS research; the second section focuses on the analysis of laboratory data used for immune monitoring, biomarker discovery and vaccine development; the final section focuses on statistical issues in the mathematical modeling of HIV/AIDS pathogenesis, treatment and epidemiology. 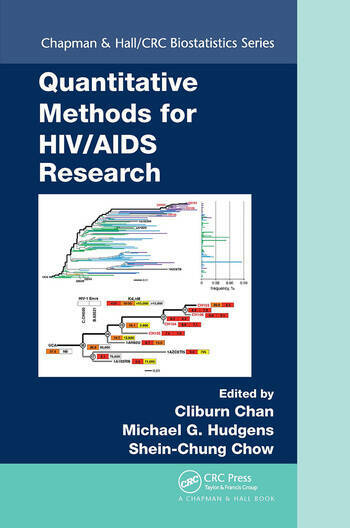 This book brings together a broad perspective of new quantitative methods in HIV/AIDS research, contributed by statisticians and mathematicians immersed in HIV research, many of whom are current or previous leaders of CFAR quantitative cores. It is the editors’ hope that the work will inspire more statisticians, mathematicians and computer scientists to collaborate and contribute to the interdisciplinary challenges of understanding and addressing the AIDS pandemic. Cliburn Chan is an Associate Professor of Biostatistics and Bioifnroamtics and Statistical Science at Duke University, and is the Director of the Biostaatistisc and Computational Biology Core of the Duke Center for AIDS Research (CFAR). Dr. Chan is cross-trained in medicine and applied mathematics, and is focused on inter-disciplinary research in computational immunology and the development of methods for the analysis of single cell data. He teachers graduate classes in data science and computational statistics at Duke University. Michael Hudgens is a Professor in the Department of Biostatistics at UNC-Chapel Hill and is Director of the Biostatistics Core of the UNC Center for AIDS Research (CFAR). He has experience in collaborative research and statistical methodology development related to studies of infectious diseases, primarily HIV. Professor Hudgens has co-authored more than 150 peer-reviewed papers in statistical journals such as Biometrika, Biometrics, JASA and JRSS-B as well as biomedical journals such as the New England Journal of Medicine, Lancet and Nature. He currently serves as an Associate Editor for Biometrics, JRSS-B, and JASA. He is an elected fellow of the American Statistical Association and has taught graduate level biostatistics courses at UNC for over ten years. Shein-Chung Chow, PhD, is a professor in the Department of Biostatistics and Bioinformatics at Duke University School of Medicine. Dr. Chow is also an adjunct professor at Duke-National University of Singapore Graduate Medical School, an adjunct professor at North Carolina State University, and founding director of the Global Clinical Trial and Research Center in Tianjin, China. He is editor-in-chief of the Journal of Biopharmaceutical Statistics and editor-in-chief of the Chapman & Hall/CRC Biostatistics Series. 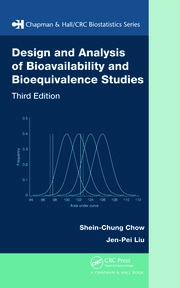 He is the author or co-author of more than 250 papers and 24 books, including Adaptive Design Methods in Clinical Trials, Second Edition, Handbook of Adaptive Designs in Pharmaceutical and Clinical Development, and Controversial Statistical Issues in Clinical Trials. A fellow of the ASA and member of the ISI, Dr. Chow has received the ASA Chapter Service Recognition Award, the DIA Outstanding Service Award, and the ICSA Extraordinary Achievement Award.